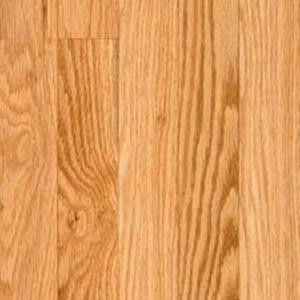 Enhance the beauty of your commercial or residential space with the BLC Hardwood Unfinished Natural Red Oak /4 in. Thick x 3-1/4 in. Wide x 30 in. Length Solid Hardwood Flooring. Protected by a lifetime structural manufacturer's warranty, these durable hardwood flooring planks are constructed of solid red oak wood and have non-beveled edges and ends. Creating a coordinated look is easy when you use this flooring with matching trim and mouldings (not included).